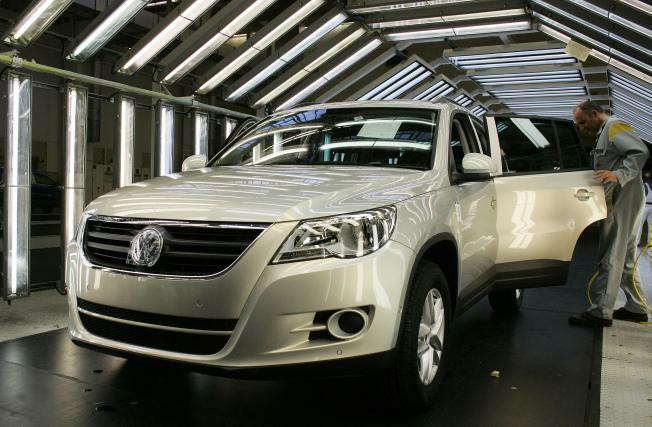 The Volkswagen Tiguan, which the car manufacturer introduced in June, received high marks in crash-safety tests. A half-dozen small sport utility vehicles have been identified as the safest in class by the industry-funded Insurance Institute for Highway Safety. The new 2009 Volkswagen Tiguan, the 2009 Ford Escape, Mercury Mariner, Mazda Tribute, 2008 Nissan Rogue and Mistubishi Outlander were all rated "good" by the institute in front, side and rear crash tests, reports the Detroit News. The Tiguan, which went on sale in June, "is a real standout," said IIHS President Adrian Lund. On the flip side was the poor performance shown by Jeep's Patriot and Wrangler, as well as the Suzuki Grand Vitra, Chevrolet Equinox and Pontiac Torrent. Referring to the Wrangler, Lund noted that "We've rarely seen a vehicle go in the wrong direction and get a worse rating after it had been redesigned." "No single crash test provides a full picture of a vehicle's crashworthiness," said Chrysler spokesman Max Gates. The Jeep Wrangler "meets or exceeds all applicable federal safety standards, and performed well in the government's crash test program."